The 2019 RMHC H.E.L.P. Conference Committee are pleased to include the following Keynote Speakers at the 2019 H.E.L.P. Conference. As an advocate for people living with IBD, Luke's unique, honest, and often hilarious perspective on his own health issues has made him a sought after keynote speaker and MC at events around the world. His ability to take his real life struggles with chronic illness and turn them into laughter and music earned him a 2017 WEGO Health Award in the category of "Hilarious Patient Leader". 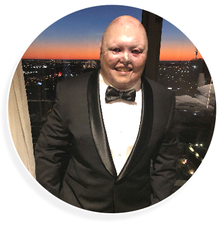 He is an ambassador for Crohn's and Colitis Australia and has spoken three times at Parliament House in Canberra on their behalf, as well as at events in Chicago, Miami, Vienna, Bangkok, New Zealand and all over Australia. Luke was once described by John Shand in the Sydney Morning Herald as "a rock-soul singer, raconteur, blistering blues guitarist, comedian and songwriter...and very good at them all" and is most often described by himself as "the Mick Jagger of inflammatory bowel disease". 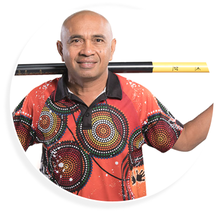 Brisbane-based Adrian is a proud descendant of the Djabera Djabera tribe of the West Australian Kimberleys. His instrument of choice is a unique slide Didgeridoo invented by Charlie McMahon, named "The Didjeribone" because it can slide through different notes and tones - a cross between a didgeridoo and a trombone. Adrian effectively performs as a one man band, creating live samples and looping them to create songs and soundscapes that criss-cross musical genre. He uses mixed cultural influences, modern technologies and individual soundsto serve up and dish out what has been described as 21st century Didjetronica. 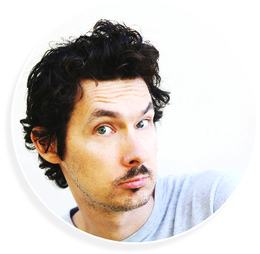 Adrian experienced a humble beginning, meeting his manager from Top Shelf at the Big Sound Festival in Brisbane in 2006. 2007 began with an invitation from Airto Moreira (the man who brought Latin music to the world via Miles Davis, John Coltrane etc) to collaborate live onstage at the Jazz in the Domain for The Sydney Festival in front of 120,000 people, a mind-blowing experience for any performer, let alone someone so new to the big stage. Since then he continues to contribute tomany projects as a professional didgeridoo player and in production arrangement. Adrian tours with his unique school based Didjeribone Show each year, Australia wide and internationally. It's a one man, one hour stage performance bringing his culture and music to thousands of school students across Australia and beyond. Over the past 10 years Adrian has visited in excess of 5,000 schools across the nation. Based on popular demand, Adrian developed the Didjeribone Workshop. Delivered to a small but very interactive group, detailing and teaching latest music technology and original music making capabilities.It is a true exchange of culture on every level. On average, Adrian performs at least 15 events per month, including festivals, school workshops, corporate events, rehearsals and recordings. Associate Professor Thomas Oxley MBBS BMedSc FRACP PhD is a vascular and interventional neurologist and world expert in endovascular bionics. He is founding CEO of Synchron, Inc; Instructor, Attending, and Director of Innovation Strategy in the Department of Neurosurgery, Mount Sinai Hospital; and Laboratory Head of the Vascular Bionics Laboratory, University of Melbourne, Australia. Dr Oxley has performed over 1400 endovascular neurosurgical procedures at Mount Sinai Hospital, including cerebral angiography, aneurysm coiling and clot retrievals in acute stroke. He completed both internal medicine and neurology residency in 2013 at the Royal Melbourne and Alfred Hospitals, Melbourne, Australia. In 2015 he competed a stroke fellowship at the Royal Melbourne Hospital, and was an investigator in the EXTEND-IA trial that demonstrated the paradigm-shifting efficacy of mechanical thrombectomy in the treatment of stroke and published in the New England Journal of Medicine. Dr Oxley completed his PhD in neural engineering in 2016 at the University of Melbourne. Since commencing his PhD he raised $12 million dollars in funding from US and Australian governments, forming a lab for the development of a novel stent electrode (stentrode) neural interface. This included substantial funding from the US defense organization DARPA. In February 2016 the breakout scientific report of the technology was published in Nature Biotechnology (IF 41). A subsequent paper was recently published in Nature Biomedical Engineering demonstrating the feasibility of endovascular brain stimulation. His research laboratory at the University of Melbourne currently includes three post-docs and two research engineers. He has supervised 3 PhD students and 20 honors students. The lab collaborates across 16 departments including medicine, neurology, neurosurgery, engineering, physics and pathology. Dr Oxley has published 60 internationally peer reviewed articles that have accumulated 3478 citations, with 13 as first or last author and with an H Index of 11. 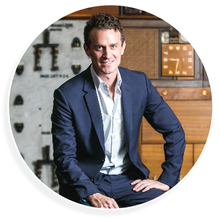 Since 2012 Dr Oxley has founded three companies and raised a total of $7.5M in private capital investment. He is the founding CEO of Synchron. Based in Silicon Valley, Synchron is an innovative medical device company focused on the development of minimally invasive neural interface technology and is developing the world’s first endovascular electrode array, the StentrodeTM. The company is working towards a first-in-human clinical trial of a pioneering minimally invasive brain-computer interface Stentrode technology for the direct thought-control of operating systems and a suite of assistive technology applications for patients with paralysis. The Stentrode technology has achieved widespread international media attention including an endorsement by the President of The United States, Barack Obama and being invited to conduct a TEDx talk. He is also the founder of VascuLab: Australia’s first dedicated education and research angiography suite, and premier preclinical research facility for which he secured $3M in capital financing. In 2018 Dr Oxley received the Advance Global Australia Award in Life Sciences, the UNESCO Netexplo award for Innovation, and the Congress of Neurological Surgeons 2018 Innovator of the Year. Born and bred in London, Jayne qualified from Cambridge in 1991 with a degree in History and a BEd Hons teaching degree. Her first challenging Headship was in 2004 in the London Borough of Barnet at Childs Hill Primary School & Children's Centre. 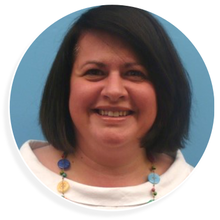 During her time at Childs Hill Jayne introduced ‘Restorative Practices’ to the school whose work was then recognised with beacon status by the Restorative Justice Council; she remains passionate about supporting behaviour in schools through the development of positive relationships. Jayne became Headteacher at the Children's Hospital School at Great Ormond Street Hospital (GOSH) and University College Hospital (UCH) in September 2011. This new adventure only fuelled her fire further to support creative and innovative partnerships in schools and multi-disciplinary settings in order to ensure achievement and a love of learning survives despite the challenging economic, social and health needs faced by so many children and young people. On average 1200 pupils are taught each year and 45 staff are employed to work across three main hospital sites.The majority of pupils have admissions of more than six weeks and the school adopts an extremely flexible and personalised approach teaching children from nursery through to sixth form. Jayne is a founding member and director of the UK’s first National Association of Hospital Education (NAHE) who work closely with the Alternative Provision and Funding Policy Units at the Department for Education (DFE) to resolve new policy and funding arrangements for Hospital Schools across England, to ensure more equitable access to education for children and young people with medical needs. Having met so many Australian colleagues when they have visited Europe she feels privileged and excited to have been invited to come and speak at the H.E.L.P conference and is looking forward to collaborating with delegates. Anja Christoffersen is a young author, motivational speaker and medical advocate speaking up for those with ‘invisible disabilities’ who do not have a voice. Anja was born with complex medical malformations called VACTERL Association that has resulted in dozens of surgeries and over 150 hospital admissions. At birth, she had no way of getting food and water in or out of her body and survival was only possible with extensive medical intervention. The doctors never described life past childhood, however it was quickly discovered that this rare congenital disability carries with it associated stigmas and challenges faced at every stage of life. It impacted on her social relationships, education and day-to-day life. Fortunately, Anja has transformed her setbacks into an incredible, passionate drive to improve the path for others walking in her footsteps. Beginning her speaking career in 2018, Anja has now spoken at conferences in Australia, USA and Pakistan - raising awareness of VACTERL and sharing her motivational message of overcoming setbacks and how the medical and education field can better accommodate children, adolescents and adults with chronic illness. 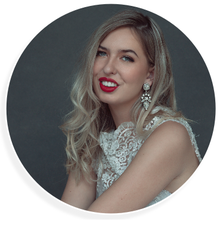 In late 2018, Anja published her autobiography, “Behind the Smile: An Inspirational Journey from Disability to Ability” detailing her life with disability, her path to becoming an international model and the experience that turned her to advocacy. She could not see any reason for anyone to feel isolated and unsupported in their struggles with illness and left to face the unrecognised psychological impacts of disability on their own. This also led Anja to commence her studies in the transpersonal therapy specialisation of psychotherapy so she could work more effectively with people managing chronic illness. Anja is now a proud ambassador for the Continence Foundation of Australia while exploring her own advocacy projects. 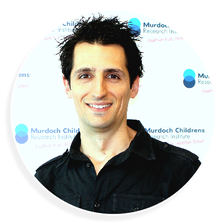 Dr Frank Muscara a clinical neuropsychologist at the Royal Children’s Hospital, Melbourne, and a senior researcher at the Murdoch Children’s Research Institute. His clinical role has a focus on clinical innovation using digital solutions in the mental health space. This role specifically involves the identification, development and implementation of digital health solutions in a paediatric hospital setting. His research interests include long-term outcomes following paediatric acquired brain injury, applications of mindfulness, the development of psychological interventions for critically ill children and their parents, and the development and translation of digital solutions into clinical care within the hospital. Frank is the stream leader for Psychosocial Interventions and Delivery Innovations Research at the Murdoch Children’s Research Institute. His expertise in mindfulness practice has also led him to establish a mindfulness program to support staff wellbeing at the Institute. Frank also works in private practice as a paediatric neuropsychologist, with much of his work being with the Children’s Court Clinic, and involves the assessment of young people going through the criminal justice system. These assessments explore the neurological impact of drug use and acquired brain injuries on their functioning, which assists clinicians, support workers, parents and teachers with the short and long-term management of these young people within the school and home environment following their release. In addition, Frank is a director at the Human Factors Institute, which is a company that helps organisations to understand the physical, psychological and organisational factors that affect the performance of their employees, with a particular focus on the healthcare sector. 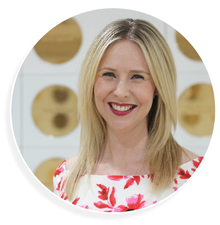 Dr Kimberley Docking is a Speech Pathologist and the Director of the NeuroKids Communication Research Laboratory at The University of Sydney, which aims to improve the quality of life and communication of children surviving major childhood cancer and acquired brain injury. Kimberley is considered the only expert in the country in communication disorders following childhood brain tumour and leukaemia, and one of few in the area of acquired brain injury in children. Her research program is focused on changing practice and policy to improve the long-term quality of life, communication, and swallowing of children surviving cancer, brain injury, and other neurological and neurodevelopmental conditions. Kimberley is currently leading development of the world-first Australian Clinical Practice Guidelines for the management of communication and swallowing disorders in children diagnosed with brain tumour and leukaemia, and co-leading the development of international guidelines related to postoperative paediatric cerebellar mutism syndrome. Dr Mel Noke is the Evaluation Manager at CanTeen and a registered psychologist. 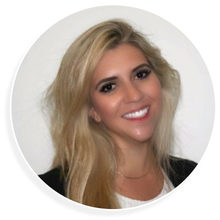 She has a range of research interests including: qualitative research methods, psycho-oncology research, health behaviour change, healthcare communication, family communication about illness, young people’s psychological adaptation to health information and their involvement in decisions regarding their health. With a focus on translating research into organisational practice, Mel is overseeing the evaluation of a number of CanTeen’s key projects including the CONNECT (Chat ONliNE at CanTeen) peer support and online counselling services for young people and for parents (CONNECT for parents), the TRECA service (using Telepresecnce Robots to Engage CAncer patients in education), manualised camp programs, and the national Youth Cancer Service Experience of Care study. Dean Clifford was born with Epidermolysis Bullosa (EB), an incredibly rare and debilitating skin condition with no cure. He wasn't expected to live past the age of five but instead has become an inspiring member of the community and a shining example of the power we all possess in life. Since 2005, he has travelled the world sharing his story with groups and organisations as diverse as primary school children and prime ministers. Now Dean challenges others to dare to dream and believe in themselves, with his own life experience as the motivational tool. This charismatic man will change your life, your perceptions about what can be achieved and the way you look at and accept people. Whether he speaks to three people or 3000, his goal is always the same: to connect and inspire. People with EB are commonly described as ‘Cotton Wool Kids'. That's because it's a disease that usually results in an early death. In Dean's case the word ‘survivor' is more apt. Dean continues to baffle medical science as one of the oldest survivors of what should be a fatal genetic skin condition. Despite a life of extreme pain and hardship, he has never wavered from his own dreams to be a productive member of the community working and contributing in a meaningful way. When he's not traveling the world sharing his story as a motivational speaker, Dean is the business and marketing of?cer for Ken Mills Toyota. Dean is an Ambassador for the Brisbane Broncos Football Club, and a spokesperson for EB Awareness. He was a brand ambassador for Toyota Australia for 15 years, and has been the face and voice for Disability Employment in Australia. In recognition of his outstanding work to raise awareness for people with disabilities seeking to fill mainstream employment opportunities, he received a lifetime induction into the Hall of Fame. Since 2004, Dean has trained as a powerlifter, and has become internationally recognised as one of the strongest powerlifters in his weight class - amazing for someone who's skin is still medically regarded as being as fragile as tissue paper. In demand as a motivational speaker, Dean's presentations are raw, honest and powerfully moving as he details the highs and lows that are his life and the keys he has used to stay alive, to thrive and survive.